Urology involves the study and treatment of conditions involving the urinary tract and all of its organs. An area of medicine that includes many specialties, you have various fields to choose from in the pursuit of a career in urology. Urologic oncologists deal with tumors in the urinary tract or genital system. In this career, you diagnose cancers of the urinary tract and the male reproductive system. Upon diagnosis, the oncologist creates a treatment plan, to possibly include surgery, radiation treatment and other methods of appropriate care. In addition to the treatment of cancer, urologic oncologists also conduct substantial research into its causes and effects. They constantly look for innovative treatments and possible cures. A reproductive endocrinologist is a physician who specializes in assisting men with issues of male infertility. In this position, you conduct assessments of male reproductive organs to determine the causes behind infertility and develop a course of treatment. Endocrinologists continuously work with the patient to monitor progress and make adjustments as necessary. According to MD and DDS Resources, the average salary for a reproductive endocrinologist is $317,312. Neurourology assists male patients who suffer from various types of erectile dysfunctions. Prescribing medication, penile implants and surgical procedures are all methods employed by neurourologists in this field. Female urology specialists focus on issues that are particular to female patients. These doctors work to correct incontinence, which is an inability to hold urine in the bladder, leading to leakage. You also work to diagnose and treat pelvic relaxation. This condition causes the uterus and bladder to sag out of place, resulting in pain and various bladder problems. Unlike male centered urology, when female urological issues expand to the reproductive system, the urologist defers to the patient's gynecologist instead of continuing with treatment. Many urologists own and maintain private practices. In these offices, the doctor needs assistance in treating patients on a daily basis. A urological physician's assistant works in the office performing many of the same duties that the doctor carries out. Physician assistants must have a vast knowledge of urology and are also licensed by the state, though not at the level of physician. 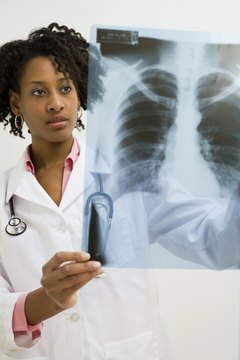 The practice of urology often uses x-rays, which requires a radiology technician to be on staff. The technician is responsible for safely using an x-ray machine to provide the doctor with images of the urinary tract. Nurses are essential to a urology office. Urology nurses assist the physician during patient examinations. They also greet patients and maintain records of their vital signs. The nurse schedules further procedures, processes prescriptions and works under the direction of the physician. Winston, Erika. "Medical Careers Involved With the Urinary System." 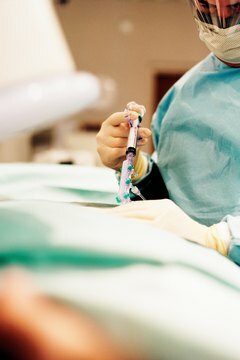 , https://careertrend.com/medical-careers-involved-urinary-system-32735.html. 05 July 2017.